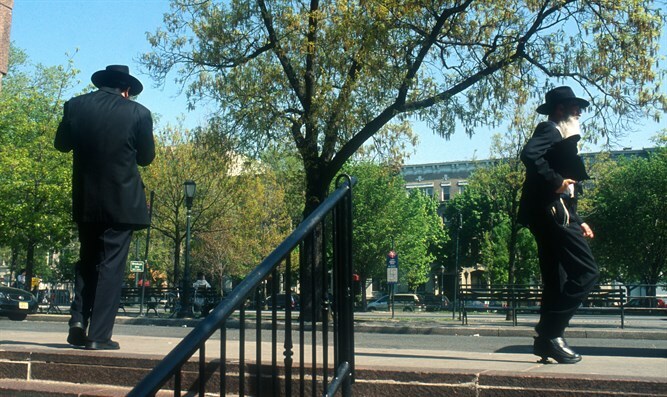 Two Jewish men violently beaten by a gang in the Crown Heights neighborhood of Brooklyn. Two of the attackers caught. Two Jewish men were violently beaten by a gang in the Crown Heights neighborhood of Brooklyn on Tuesday night. According to the Crown Height Info website, the beatings occurred a few minutes after 1:00 a.m. on President St. between Albany and Troy Ave., when the gang of three began targeting Jewish men on the block. A few minutes later, the gang targeted a second, younger man, who put up a fight, screaming for help and struggling with them. As they canvassed the area looking for the gang, a group matching the description of the gang was located. When the NYPD stopped the group, they attempted to flee. Two were caught, while the third escaped. The NYPD Hate Crimes Task Force will be investigating the assaults. Just two weeks ago, an Orthodox Jewish teenager was assaulted by a group of black teens in Crown Heights. Last week, a Jewish woman walking in Crown Heights was punched by a black male who then ran off.